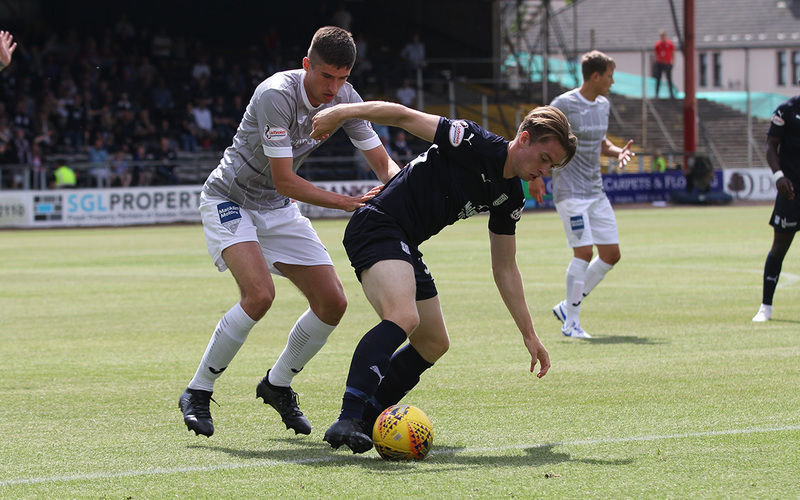 The Dark Blues put in a poor performance and went down to a 1-0 defeat at home to Dunfermline Athletic in today’s Betfred Cup tie. Jackson Longridge scored the only goal after only two minutes. Both sides had chances for further goals, but the Pars were always the more determined and composed side. 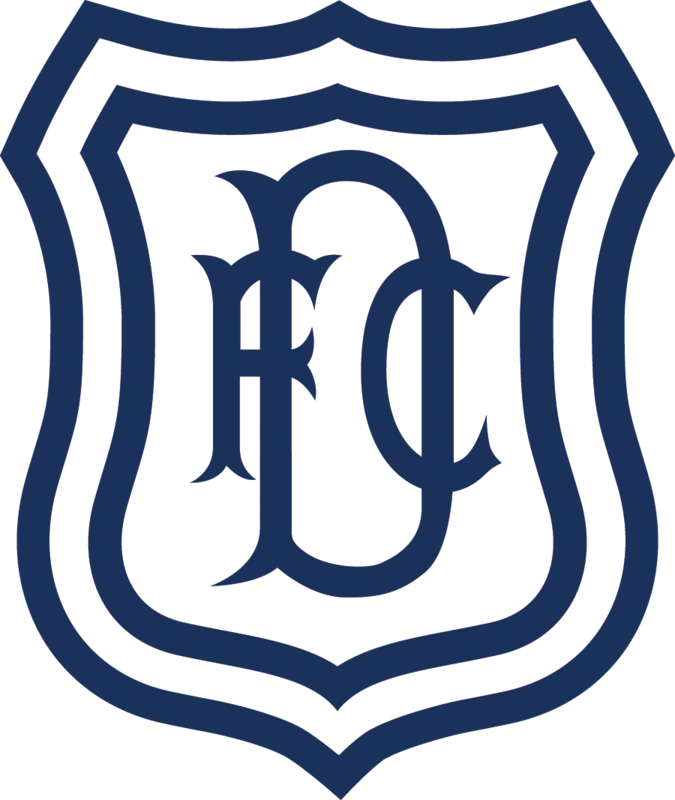 Dundee were badly disrupted by injury, being forced to use all three substitutes to replace injured players, two before half time, but they were always second best and can have no complaints about this defeat. The Dark Blues made only one change from last week’s win over Stirling. Kharl Madianga made his first start as a straight replacement for the injured Glen Kamara. The Pars were unchanged following their midweek win over Peterhead. Dunfermline set the tone for the first half with an early goal that was impressively worked, or poorly defended, depending on your perspective. The visitors passed their way neatly around left back Nathan Ralph and Ryan Williams delivered a fine cross to the far post where the incoming Jackson LONGRIDGE scored with a powerful header that gave Jack Hamilton no chance. The Pars were much sharper and less wasteful than Dundee, especially in midfield. The Dark Blues were repeatedly caught in possession, and often gave the ball away cheaply even when there was no pressure. An unfortunate injury to Sofien Moussa added to Dundee’s problems. He went down clutching his back after an aerial challenge. Following lengthy treatment he left the park on a stretcher. Matty Henvey replaced him, but it was hardly a like for like substitution. Whereas Moussa is a strong presence who can hold play up with his back to goal Henvey likes to make runs in behind the defence. Dundee struggled to adapt their game to the change. Myles Hippolyte went close to extending the Pars’ lead twice in quick succession. After a quick break from a Dee attack he found himself free in the penalty area. He had to take the ball with his back to goal and tried to turn and shoot too quickly, but mishit his shot, allowing Hamilton an easy save. Hippolyte got plenty of power into his shot a minute later when the ball broke to him following a free kick, but Hamilton saved at his near post. Dundee gradually started to improve without ever reaching an acceptable level of performance. There was the odd glimpse of neat football in midfield, but the final balls were never good enough to worry the Pars. Late in the first half Nathan Ralph limped off. He was replaced by Jesse Curran, who played at right back with Cammy Kerr moving to the left. The Dark Blues did improve after the break, but that was from a very poor base. Dunfermline’s attacking was scrappier in the second half and they frequently threw away promising openings with poor final balls. Shortly after the restart Jack Hamilton had to move smartly to smother the ball from Pars attackers after Jackson Longridge did well to reach a deep cross and force it into the goalmouth. Jean Alassane Mendy offered some hope by getting into some good positions to attack crosses. His header from a free kick flew over the bar, and a Kerr cross found him in the clear. Sadly his flicked volley dropped just the wrong side of the crossbar. The Dee’s wretched afternoon with injuries continued when Genseric Kusunga was forced out of the match with Steven Caulker replacing him. One incident summed up the scrappiness of the game. Dundee gave away the ball ridiculously easily and Dunfermline attacked. Jackson Longridge whipped over a dangerous low cross that flew through the goalmouth with neither defenders nor attackers being sufficiently switched on either to clear or to score. A minute later Dundee went desperately close twice in quick succession. Paul McGowan’s persistence created space for Elton Ngwatala on the edge of the penalty area and his rising shot smashed off the face of the crossbar. In the follow up Curran fired over a low cross but Henvey missed his kick right in front of goal. Mendy almost grabbed a peculiar equaliser when he managed to get two headed chances from a free kick. He failed to connect properly with the first but followed up with a second header before the defence could react. Pars’ keeper Lee Robinson was wrong-footed but recovered quickly to touch the looping effort over the crossbar. Dundee offered no real goal threat in the later stages and the Pars held on comfortably through the five minutes of injury time. Kharl Madianga fired in a 25 yard snapshot that fizzed over the bar but there was no sustained pressure and a dearth of good passing moves. There were occasional good moments today, but Dundee always looked more likely to dig themselves out of the hole with a spot of improvisation or good luck rather than by imposing their game plan on the Pars. The standard of Dundee’s passing was dreadful, with countless passes going astray or straight to opponents. The forwards had very little to work with, receiving poor service from a sloppy and casual midfield. The careless passing was a problem running all the way through the team, with some terrible passes out of defence causing unnecessary scares in midfield. The absence of the composure provided by Glen Kamara, and the early loss of Sofien Moussa’s physical presence and ability to hold up play while bringing others into the game were both significant. Dundee never came to terms with the absence of these key players. However, that would be a poor excuse for a team display that was nowhere near good enough to keep the fans happy and leaves the Dee’s Betfred Cup prospects hanging in the balance. Unused subs: Parish (gk), Jefferies, Spence, Lambert. Unused subs: Gill (gk), Todd, Martin, McCann, Luke. Attendance: 2,870 (516 Pars fans). Referee: Bobby Madden. Assistants: Graeme Stewart, Anthony Cooper. Fourth Official Steven Reid.